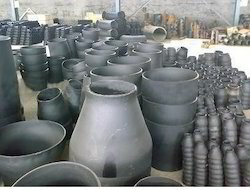 Pioneers in the industry, we offer alloy pipes, alloy fittings, alloy flanges, alloy forged fittings, alloy steel round rods and alloy steel from India. 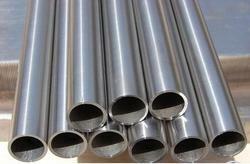 Made available by us is a wide array of Alloy Pipes for customers. 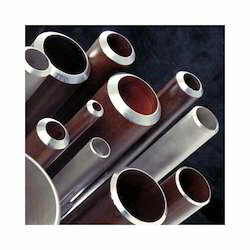 After manufacturing, these pipes are perfectly polished so that these get a shining appearance. 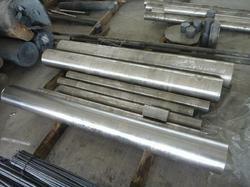 Used in various industries; these pipes are available in different ranges, thickness and forms. In addition to this, we customize these products as per clients' requirements at most competitive prices. Seamless pipes size: 1/2" - 8"
Welded pipe size: 1/2" - 12"
We are involved in manufacturing, supplying, distributing, importing and exporting a broad array of Alloy Fittings. 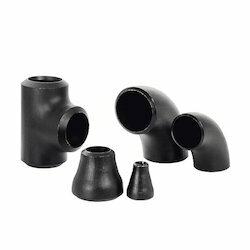 These fittings are manufactured using premium quality alloys that are sourced from moat trusted and reliable vendors of the market. Our range is high appreciated by clients for its corrosion resistance, dimensional stability and easy fitting. Price Range may vary from Rs 130-30000 per Piece . Backed by our strong business acumen; we are manufacturing, supplying, distributing, importing and exporting a broad array of Alloy Flanges. 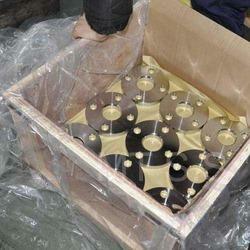 All these flanges are manufactured using optimum grade material that is sourced from reliable vendors of the market. Our experienced quality controllers inspect these products on certain parameters to rule out every possibility of defect. Price Range may vary from Rs 130-30000 per Piece. We are indulged in manufacturing, supplying, distributing, importing and exporting wide gamut of Alloy Forged Fittings. Available in various specifications, all our products are in compliance with standards and norms of the industry. To ensure safe transit of the offered range at our customers' destination, we pack it in premium quality packaging material. 16 mncr5, 20 mncr5, 34Cr4, 41Cr4 ,EN-8, EN- 19, EN-24, EN-31, EN-36C,EN-47, En-353 EN-354,SAE-4130, SAE-4140, SAE-8620,F-51,F-11,F-22,F-91. Understanding the varying demands of our valuable customers, we manufacture, supply and export high quality Alloy Steel. Our offered steel is manufactured at our sprawling infrastructure setup, employing latest machines and amenities. Available in multiple grades and specifications, these products comply with the defined industry norms and standards.